It's funny that versions of The Beach Boys and The Rolling Stones would be in town. One has some original members, but they both seem like tribute bands. Believe it or not, you have to pay to see the cover band from Italy. The Lowell Folk Festival emphasizes folks playing music from around the country and all corners of the globe. There are performance areas throughout downtown Lowell where dozens of groups serve up dozens of musical flavors as well as other street entertainment. Most groups play 3 or 4 times during the weekend at various stages, so check the schedule if you're interested in. Cajun legend DL Menard is one of the highlights of the weekend. As usual, there will be loads of food vendors with a wide variety of ethnic goodies; take a stroll around the festival to see & smell what you’ll like. 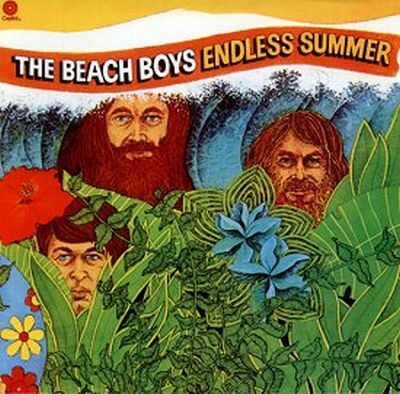 It may not really be "The Beach Boys" as you hear on the records, but they've got lead singer (and crazy man) Mike Love with another original Beach Boy, a Cowsill, and other guys. Part of the Oldies 103.3 Summer Concert Series. What I like about Viva Viva is the way they swing their big, jagged rock guitars around their songs in a tasty blend of classic/contemporary. Maybe like The Black Crowes if they had indie-cred... Coyote Kolb sounds like a laid-back alt-country outfit to me. Movers & Shakers get two big thumbs up from me; definitely a tasty rock stew. As a fan of The Diamond Mines, I think they're the future of rock. Or the past of rock or the present of rock. Maybe they're tralfamadorian / tardis-traveling, multi-dimensional beast of rock. Their music never sounds forced, but there are lots of clever bits in there to keep your ears on their toes... It's the sound of hopped-up rockers who don't need a wall of distortion to get you bouncing around. It gave me a chance to listen to Bob & the Dickheads and Bacchus King, who have a similar joie-de-vivre in their rock. On my previous listen to A Bit Much, I appreciated the variety of tunes. More for curiosity. This is a Rolling Stones cover band From Italy. "Mick" sounds closer to the big-lipped Limey on the faster tunes, which would be expected.